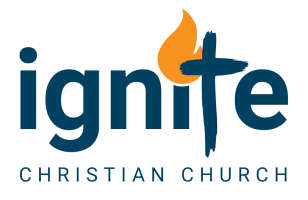 Abide In Christ Pdf Archives - Ignite Christian Church As I started my Bible Reading Plan last week, I read Psalm 1, and it refers to the man blessed like this: Psalms 1:3 (ESV Strong's) He is like a tree planted by streams of water that yields its fruit in its season, and its leaf does not wither. In all that he does, he prospers. Wouldn’t you love to see that as a description out your own life, and this church? So how can we prosper in everything we do, and yield huge amounts of high quality fruit that lasts? John 15:1-10 (ESV Strong's) “I am the true vine, and my Father is the vinedresser. Every branch in me that does not bear fruit he takes away, and every branch that does bear fruit he prunes, that it may bear more fruit. Already you are clean because of the word that I have spoken to you. Abide in me, and I in you. As the branch cannot bear fruit by itself, unless it abides in the vine, neither can you, unless you abide in me. I am the vine; you are the branches. Whoever abides in me and I in him, he it is that bears much fruit, for apart from me you can do nothing. If anyone does not abide in me he is thrown away like a branch and withers; and the branches are gathered, thrown into the fire, and burned. If you abide in me, and my words abide in you, ask whatever you wish, and it will be done for you. By this my Father is glorified, that you bear much fruit and so prove to be my disciples. As the Father has loved me, so have I loved you. Abide in my love. If you keep my commandments, you will abide in my love, just as I have kept my Father's commandments and abide in his love.